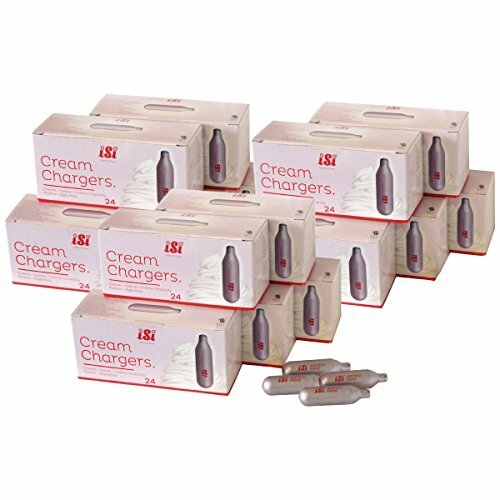 Charge the iSi cream whippers with this 360 count cream charger set from iSi. Specifically designged for iSi cream whippers, they are constructed from recyclable steel. Each bottle contains eight grams of nitrous-oxide and one charge per bottle fill. The chargers are leak proof and have no expiration date, making them easy to keep on hand at all times. If you have any questions about this product by iSi North America, contact us by completing and submitting the form below. If you are looking for a specif part number, please include it with your message.